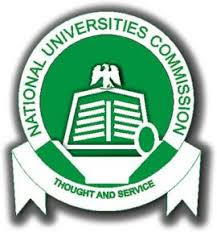 The National Universities Commission (NUC) has approved the establishment of a new state university in Maiduguri, Borno State. The letter of approval was presented to the Governor of the state, Kasim Shettima by the Executive Secretary of NUC, Prof. Rasheed Abubakar, at the headquarters of NUC in Abuja on Monday.According to the NUC boss, the commission was satisfied with the infrastructures put in place for the take-off of the institution. He commended the state government for its commitment towards restoring the educational reputation of the state and urge it to shun mediocrity and promote excellence and professionalism in order to continually enjoy the support of NUC and to successfully run the institution. Reacting to this, Governor Shettima said the new university would go a long way in tackling the menace of Boko Haram insurgency in the state. He mention that he has plans to add more two universities by next year to bring the number of higher institutions in the state to 10. The newly established university, is expected to take off by January next year.